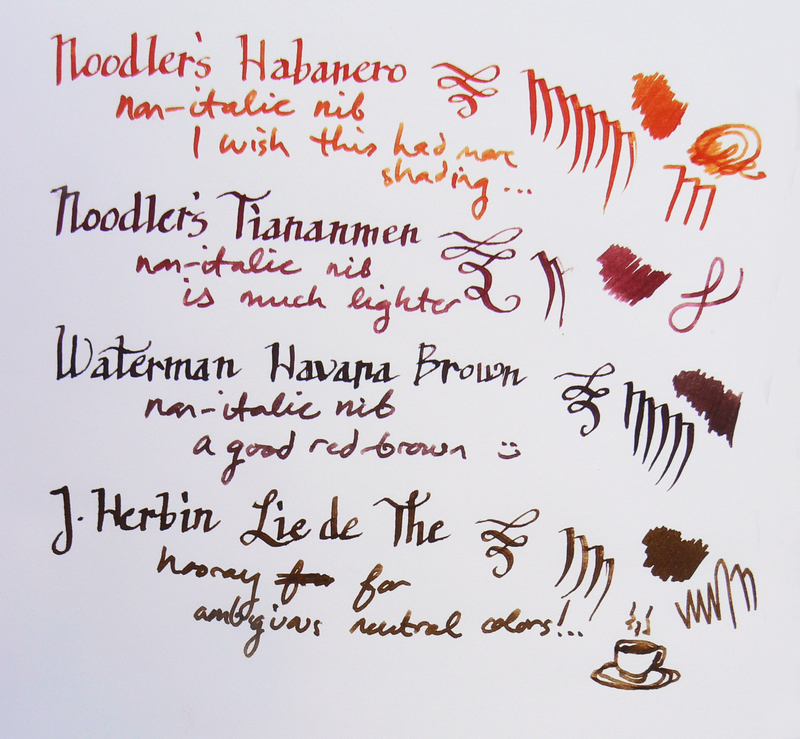 I was pretty excited about some new J. Herbin inks when I made this quick post. 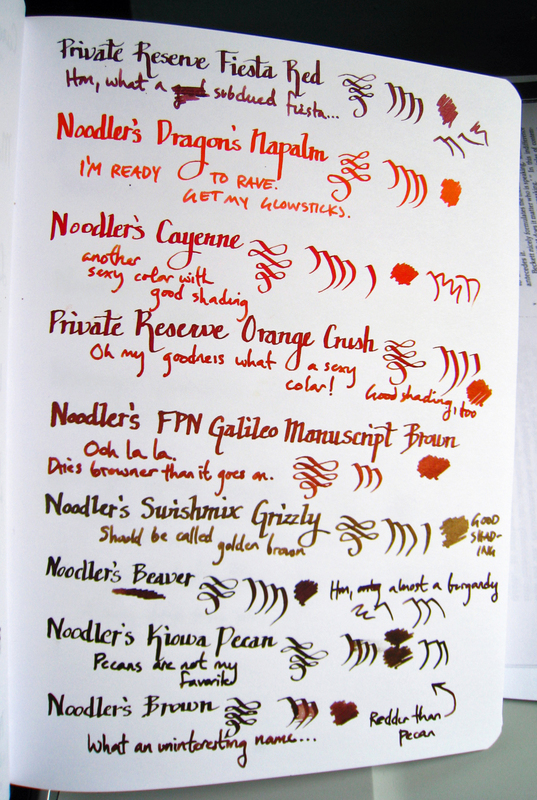 So I was obviously a little embarrassed when the Quo Vadis blog decided to feature them in a post… yikes. 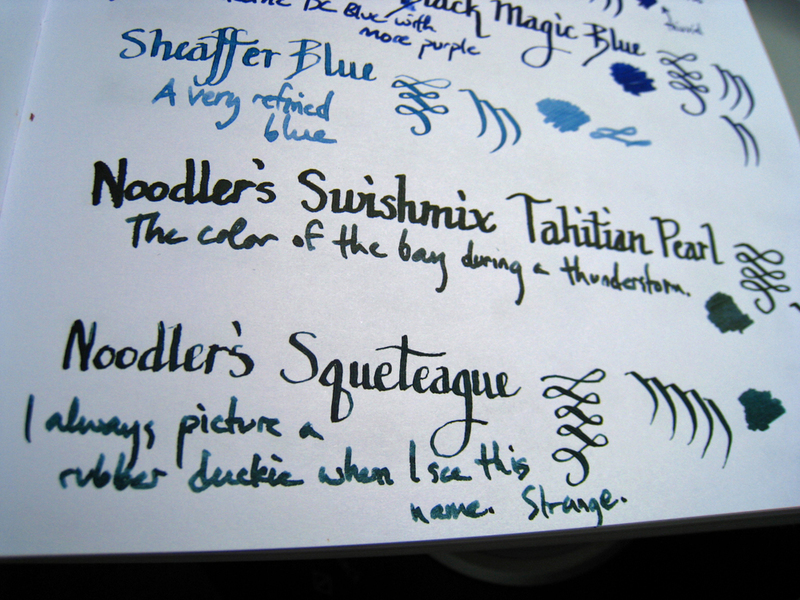 The thing about dip pens… is that they always show an ink to be more saturated than it really is. 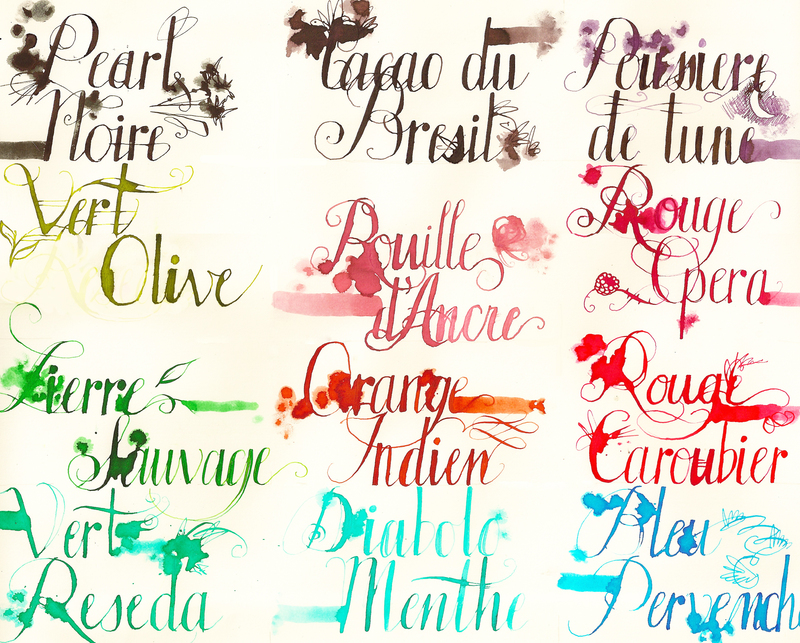 So I tried to smoosh them around a bit (professional terminology) to show their real range of color. 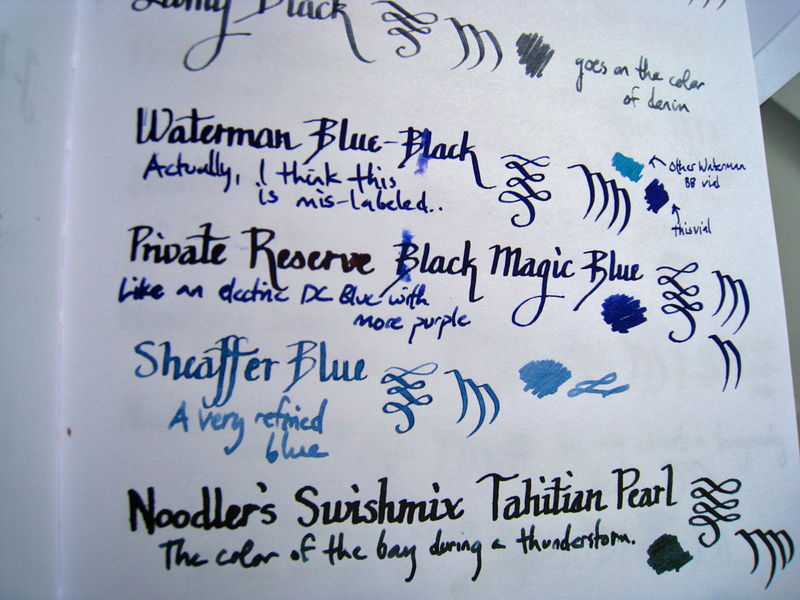 When used in a fountain pen, these inks will write in the color that you can see in the smear. 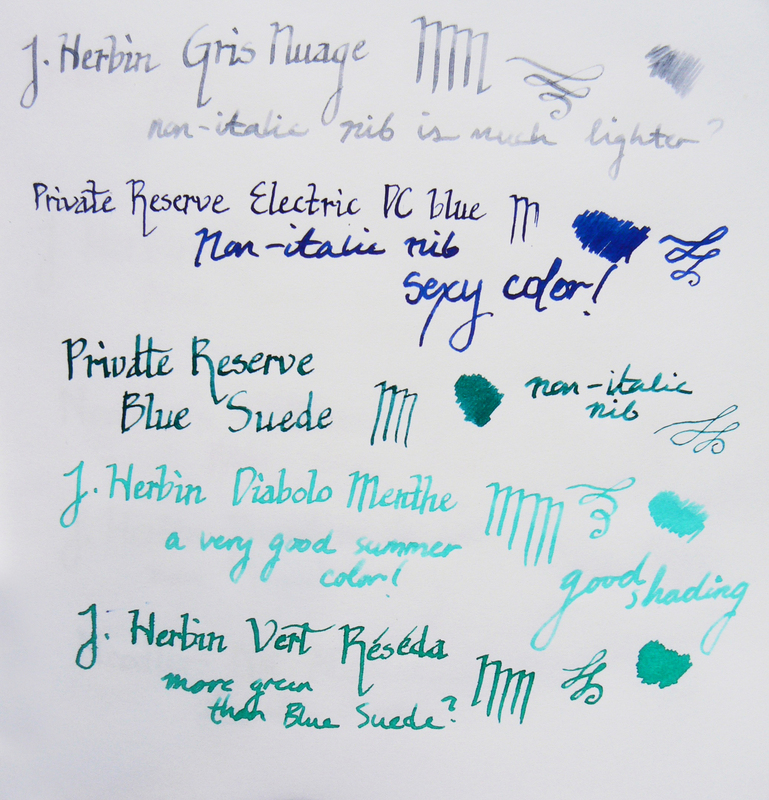 I find that I use J. Herbin inks a lot with brushes, which I really enjoy. 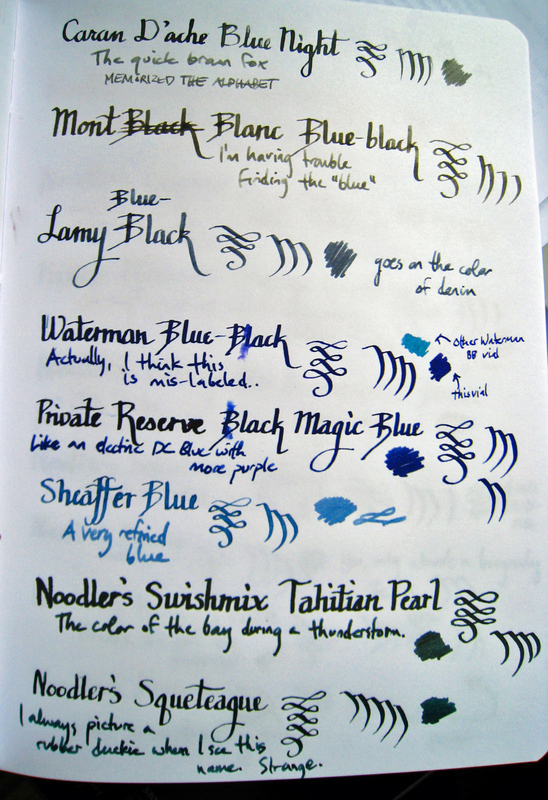 And of course, in pens. 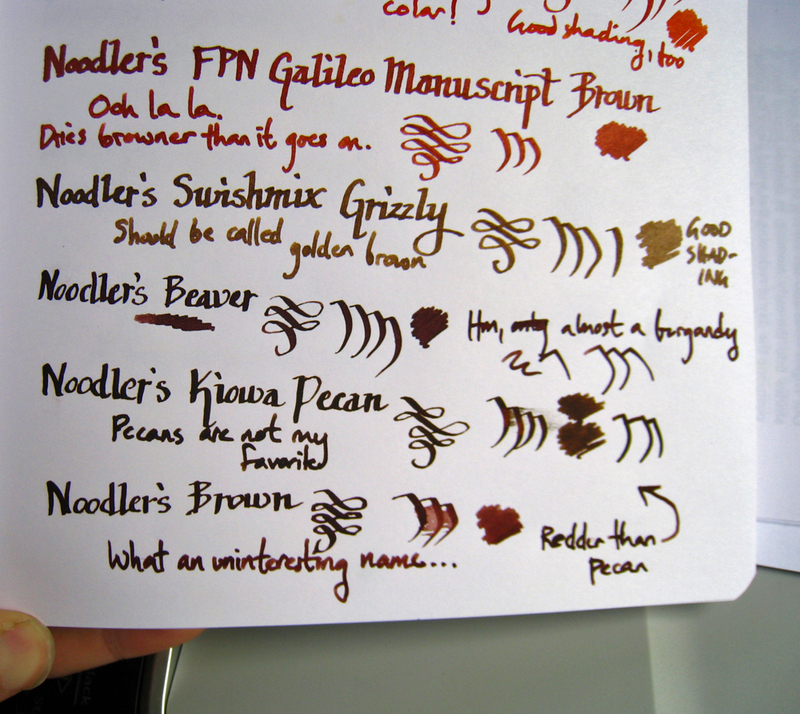 I currently have two pens inked with Cacao du Bresil, actually. 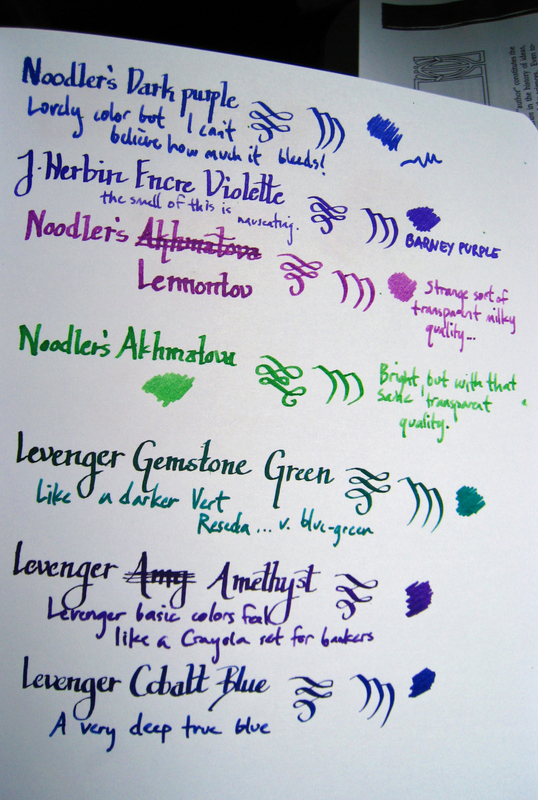 Also, Diamine has just released 10 new ink colors! I’m being a badass and doing some manual labor (okay, just laying a sidewalk)– so I’m away from the computer for a few days! The humidity is sweltering but I have confidence that my return will be bright and cheery. 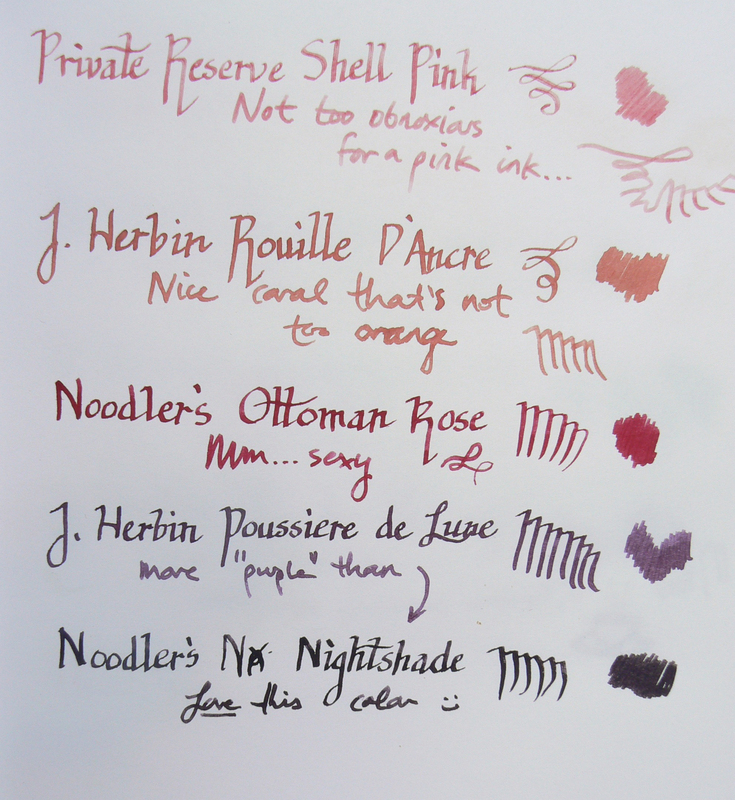 On another note, be on the lookout for a review of J. Herbin’s Rouge Opera fountain pen ink! 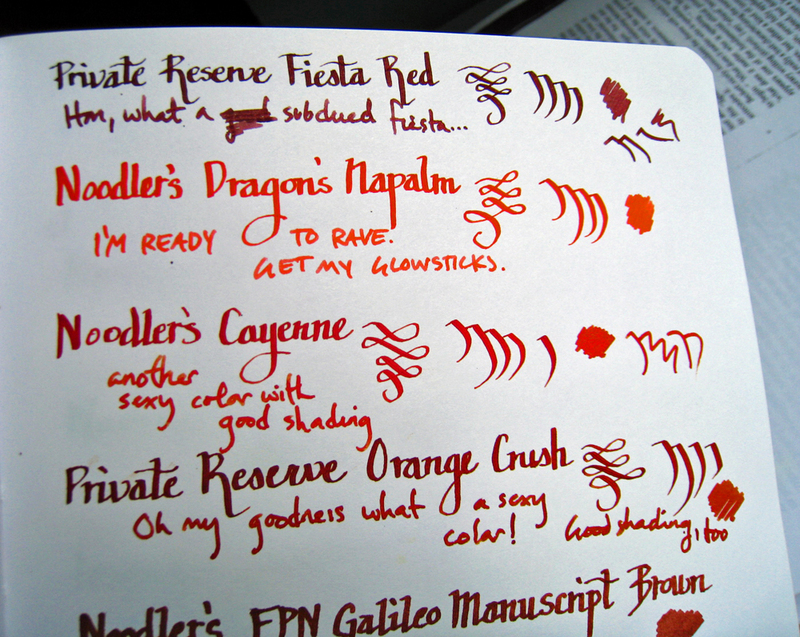 I received a free bottle from Karen Doherty at Exaclair (who is fast becoming my new best friend).